ABL is an integrated talent ecosystem on the basis of blockchain technology. It aims at disrupting conventional recruitment principles and improving the existing system of talent acquisition by helping both employers and employees. Inside the ABL ecosystem, there will be rewards for professionals who develop and trade their own talent, thoroughly elaborating a presentation of their skills and abilities, as well as for those who refer, validate and recruit others. The use of blockchain mechanism will enable the friction reduction by means of monetization of behaviour throughout the hiring workflow. The ABL platform envisages targeting about 500 billion dollars per year that are now directed to recruiting agencies and social media platforms and turn them into coin rewards. The tokenization of the platform will ameliorate the labour market in the following ways: talent deployment will become more efficient, time-to-hire will reduce significantly, recruitment funds will be redistributed, data ownership will be returned to the user, career management will be organized in a better way, satisfying the parties involved. 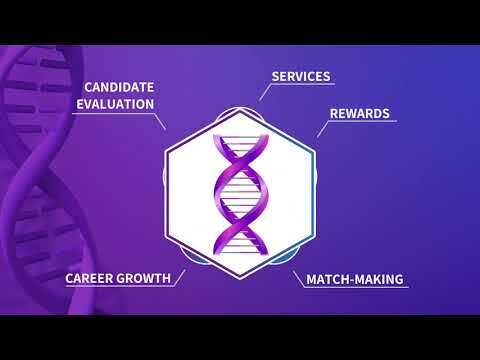 The ABL Network solves existing hiring workflow problems with an open-source, decentralized blockchain-enabled platform that empowers and rewards career expanding behaviour. ABL works through a decentralized system of bounties and attestation-based rewards for professionals and organizations. At its core are a set of smart contracts on the Ethereum public network, providing anyone the opportunity to participate without the approval of, or reliance on, a centralized authority. To facilitate a thriving network ecosystem, a supporting set of infrastructure and services will be provided by ABL. While not required to interact with the ABL blockchain based smart contracts, these services will provide the ecosystem with a fully functioning platform. CTO at MadHive, Company Advisor and Token architect at Fr8 Network, Company Advisor and Token architect at StormX. CEO at MadHive & Project Lead at MAD Network. Founder at BlockchainCubed, angel investor, blockchain advisor and co-founded a high-frequency bitcoin exchange in 2013. Founder & CEO of MKR AI, UN General Assembly. Managing Director at Trammell Venture Partners. CoinAgenda Caribbean returns to Puerto Rico March 17-19, 2018. Join the blockchain industry's leading thought leaders, entrepreneurs, and investors as we explore emerging trends in ICOs and the cryptocurrency economy. A fully immersive experience uniting blockchain communities from around the globe in what will be the epicenter of this multi-trillion dollar market. The event aims to provide you with a solid foundation in all things crypto and why it’s viewed as the gold rush of the century by investors, banks, and governments. d10e is the leading conference on decentralization, exploring the future of fintech, ICOs, blockchain, the sharing economy, the future of work, and disruptive culture. Even the most seasoned investors, entrepreneurs, and established businesses have been caught off guard by the meteoric rise of Initial Coin Offerings (ICOs), cryptographic tokens, and blockchain-based application development. Early-stage startups raised nearly $4B from ICOs during the past year, far outstripping venture and angel funding. The U.S. Securities and Exchange Commission (SEC) recently spoke out, emphatically cautioning that many ICOs may be violating securities laws. As January draws near, and the crypto space continues to explode, Keynote invites you to join us at the most important blockchain conference of the year, The North American Bitcoin Conference, a part of World Blockchain Forum.